Looking for a fresh-baked treat, but don't have time to make it yourself? Stop by our bakery today - we have breads, rolls, cookies and many other goods from Dutch Oven. 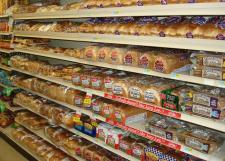 We also have a large selection of packaged bread for you to choose from.